Amid all the discussion of shortages and availability of housing, the price at times is a focus, but is also just thrown into the discussion at other times. If I were a builder looking to build in North Dakota right now, I think Bismarck looks like the area I would target given the incredible price growth there. 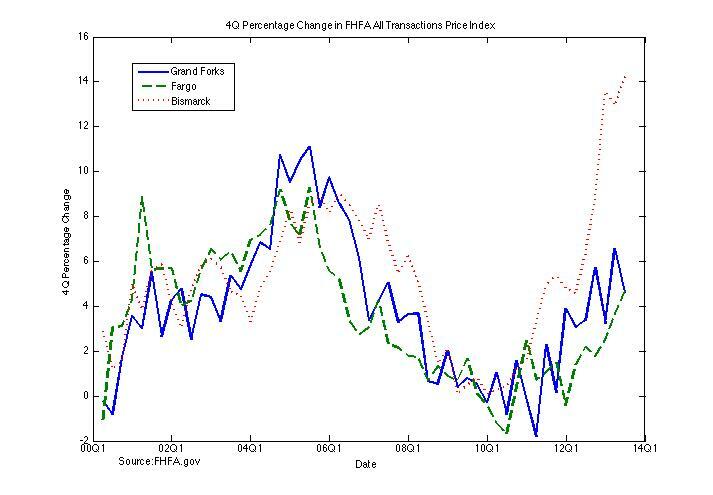 However, Grand Forks and Fargo have seen price growth too so they are viable for entry too. Price rising is a likely way for a “shortage” to disappear, if one exists. So once again, this could be the market working.